Twitter can be an infuriating place at the best of times. But this transfer window seems to have been particularly grating for one reason or another. The Premier League silly season has got so far out of hand, that fully grown adults are furiously tapping out tweets to the poor social media kid who runs Tottenham’s Twitter account, lamenting the lack of signings. Quite frankly we all need to get a grip and some perspective. 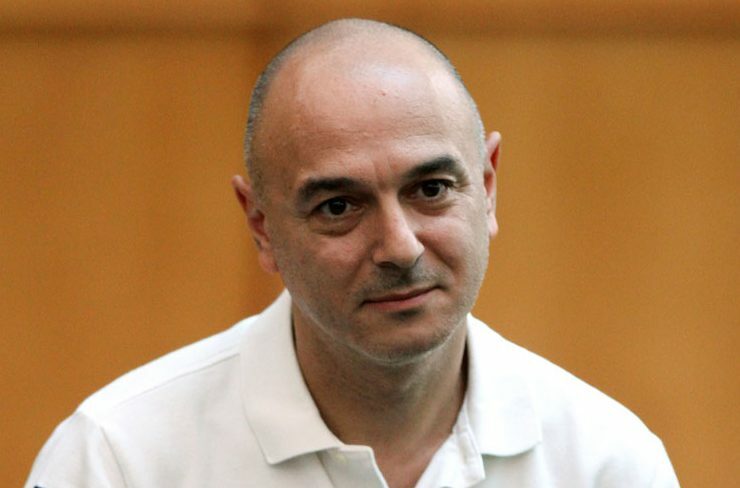 For better or for worse, I think we can trust Levy’s stewardship of the club by now. When he took over the reins, we were languishing in mid-table and occasionally even flirted with relegation. Now, if you walk down the High Road you can see the tangible progress that Tottenham have made as a club. An £800m world class stadium and a second consecutive season of Champions League. This progress is no coincidence. And certainly, it hasn’t been attained through spunking money the way that West Ham and Everton have. Curiously, the same people begging for signings on Twitter are the first to criticise Lamela and Sissoko. You cannot have it both ways. For a bit of perspective, it is definitely worth looking at how we stand up when compared to this time last year. Also, bear in mind, City, United and Liverpool are spending this money to try and catch us up. And relative to this time last year, we are in a much better position. Hugo Lloris, Toby Alderweireld, Jan Vertonghen, Danny Rose, Moussa Dembele, Dele Alli and Harry Kane would get into any team in the league. These players cannot be improved upon. Furthermore, given the constraints of building a new stadium, you’d think that this is an acceptable excuse for not breaking the wage structure to sign some world class players who command £250,000 per week wages. Our first eleven is much improved upon since last summer. Victor Wanyama looked out of place in the first few games against Everton and Crystal Palace, slowing the game down and misplacing a few passes. Eight months on and he looked like a new player. Dribbling past players like Dembele, and breaking up play like a man possessed, Wanyama certainly fits into the Pochettino mould. Alli and Son have both improved again, and their goal return is testament to that. And given his slow start last season, we can now confidently say that Eriksen is one of the best players in the league. Not only have the players improved on an individual level, the collective identity of the team has reached new heights. Any question marks over their mentality after that final day defeat to Newcastle can surely be put to bed. The Leicester and Hull games last season were almost embarrassing to watch. The hunger and commitment of this team is borderline animalistic. Tactically, Spurs reached a new level, perfecting the 3 at the back system last season. Our failure to win the title, if anything, is down to a slow start. 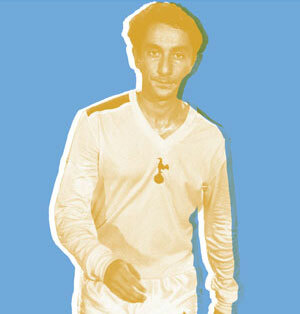 This is the same old story for Tottenham and certainly nothing new. This time out, Pochettino certainly knows his best eleven and won’t be spending time experimenting with Janssen and Sissoko like he did last year. So, as established, the starting eleven is not only better than this time last year, but also impossible to improve upon given our constraints. Any signings therefore will be for the bench. Where we fell short last year was a lack of depth. When Kane was injured, we relied on Janssen to replace him up front. It seems that people in fantasyland want us to sign a world class bench option striker. That would be nice, but no striker who is capable of scoring 20 goals in a season will accept sitting on the bench, while Kane scores 30 goals. The other end of the spectrum suggests we should sign a player like Defoe. The former Spur is reportedly earning £140,000 per week (after a massive signing on fee) at Bournemouth, which to put it bluntly is insane. If you are paying the bench option £140,000 then Kane can reasonably expect £200,000. Running a football club isn’t like picking a fantasy team or playing an Xbox game, despite what Ed Woodward may think. The only option Spurs have is to sign hungry young players with great potential. This is obviously not a flawless transfer strategy, but it is the only option we have at the moment. It is also the underpinning of our very progress as a football club. It is easy to improve a below average team. Once you are at the sharp end, finding improvements is extremely difficult. Finally, we have a brilliant youth system. By all accounts, Harry Winks is a great talent. Last season, Pochettino brought Winks on to see out games, which is testament to trust that he has in him. Moreover, Cameron Carter-Vickers and Marcus Edwards are players we can realistically be excited about. Any signings would crowd out the development of these players, which would be a crime against football. Just think, if Spurs had signed Leandro Damiao we wouldn’t have ever heard of Harry Kane. By now I think Levy and Pochettino can be trusted to develop the club. Anyone with half a brain knows that transfers aren’t the route to success. This perpetual cycle of misery and panic is not only tiring, it is a waste of effort. We aren’t Woolwich at the end of the day, which is something that we should all thank our lucky stars for. Absolutely agree with this article & comments. The only panic is whipped up by the media and the brain-dead anti-Levy brigade who would have us spending silly money on average players who are not as good as the ones we already have! Beautifully written article but I would argue it misses the point. Yes we have a very good first team and last season we managed to cover for injuries to key players although there were flat spots such as 3 consecutive draws when Toby was out injured. In my view we need to move to a different level of operating by having the squad to be able to rotate key players from match to match an during matches to keep them physically and mentally sharp. Chelsea did not do that last season but had no European football to cope with and were extremely lucky with injuries. So, we should not be recruiting players to sit on the bench but to become part of a well drilled squad where game time is regularly available without affecting the effectiveness of the team and allowing for changes of tactics during games. last season Poch started to do this with the wing-backs until Rose was injured. I think King from Bournemouth is a good example of this type of player. He carries a goal threat, can play in the 3 or up-front and gives options to Poch if Alli is having one of his”rest” days. We know Dembele is going to be injured as he always is, Alli gets kicked around every match with no protection from referees, and if Eriksen is injured there is noone to replace what he brings to the team (except for corners and free-kicks!). We need more quality and depth.